So a couple of weeks ago I stopped off at Enola Gaye HQ in Reading to catch up with the team and to pick up some supplies for my upcoming Airsoft games! Whilst I was sat drinking a cup of tea and catching up with the team a delivery of some new swag landed at the door! Amongst the new products were the new FUG gloves. 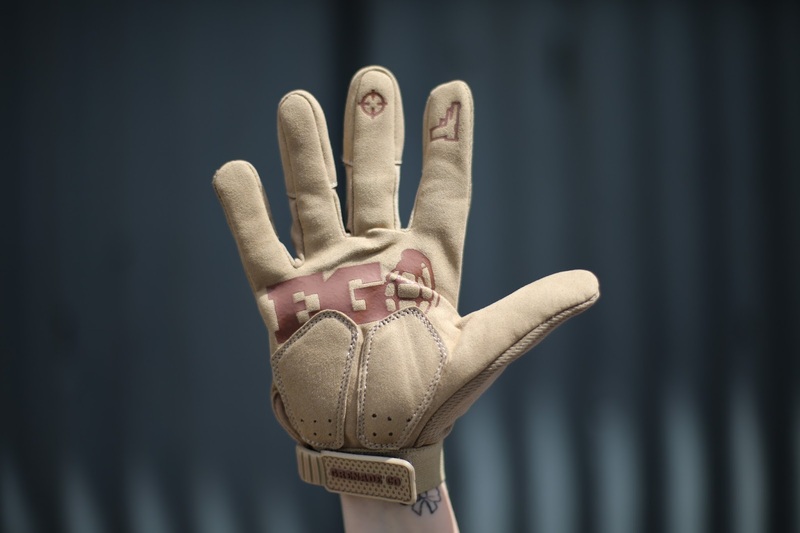 They come in a range of colours to suit any loadout and they have cute little pistol/sight graphics on the first two fingers as a cheeky design feature. 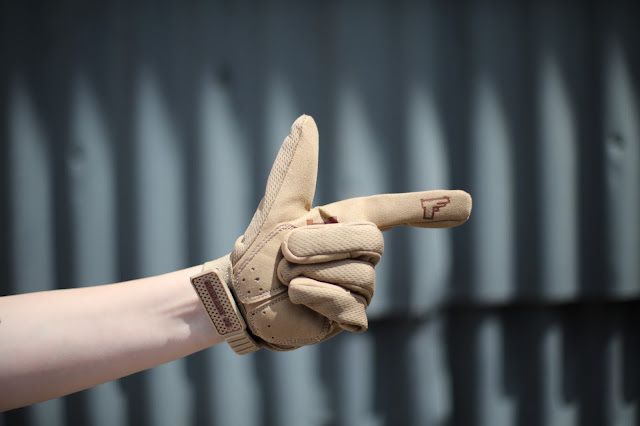 The new FUG gloves come in 6 colours - black, grey, camo, tan, digicam and olive drab, and in sizes XS-XL.They are going to retail for around £20 and will be available from retailers now! The prototype XS size has been sized to my hand - they are still a little roomy around the back of the hand so, EG now have specific women's sizes on their drawing board at this very moment so it won't be long until we have our very own line of sizes. It's a pleasure to work with companies that are helping us push the industry forward for women. PROPPER M81 BDU SET REVIEW FROM MILITARY 1ST! PROPPER RANGE BAG FROM MILITARY 1ST REVIEW! YOUTUBE: WHAT HAVE I BEEN UP TO LATELY?